The 5th day of the 5th month on the lunar calendar marks Duan Wu Jie (端午节), a festival to commemorate Qu Yuan for his sacrifice when he drowned himself in the Miluo River. Sticky rice was then dropped into the river to pacify the fishes, in hopes that they would refrain from eating the ill-fated Qu Yuan’s body. But luckily for us, we now get to eat these sticky rice dumplings in its modern, delicious form. Over the years, the dumpling has evolved: glutinous rice is now flavoured with seasoning and stuffed with different assortments of ingredients. 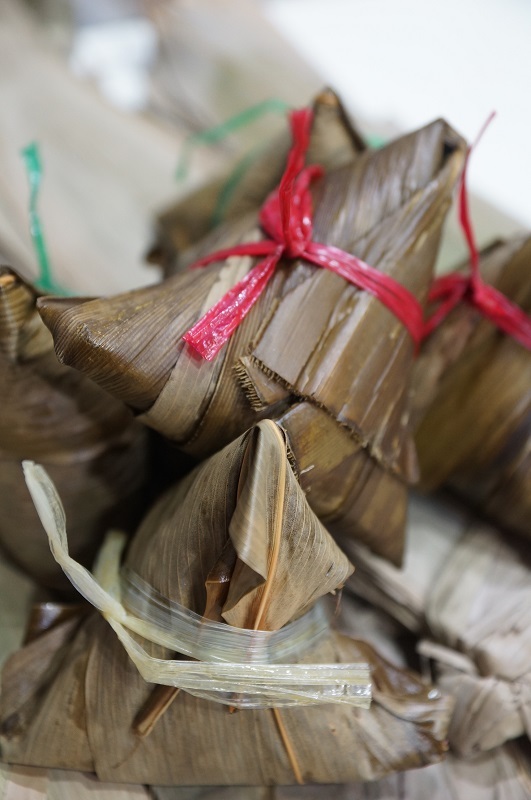 We can now have the dumpling almost all year round, shops specializing in Bak Chang have also thrived and Kim Choo Kueh Chang – a pioneer selling bak chang in Singapore – is now a household name. The ingredients are pretty generous here so the filling-to-rice ratio was definitely satisfying. 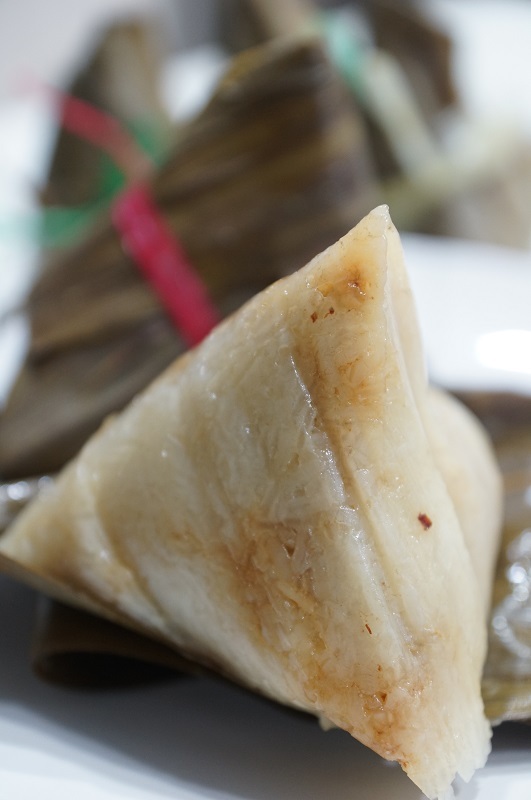 Authentic Nyonya Bak Chang usually comes with chopped candied winter melon, mushroom, garlic, shallots, ground coriander & pork belly, everything is then mixed together and cooked, then stuffed as a filling for the little pyramid shape rice dumplings. Kim Choo Kueh Chang pretty much lives up to its name of churning out marvelous Nyonya Bak Chang. The rice was not in any way overwhelmed by the ingredients. 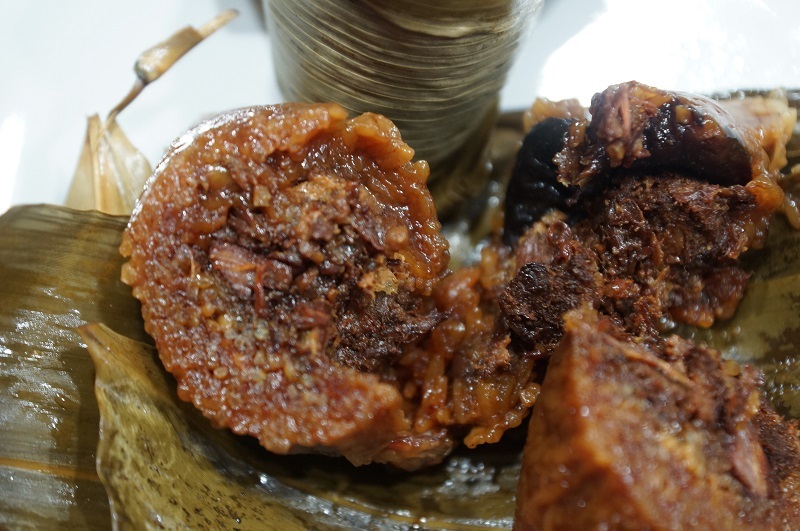 In fact, the glutinous rice was one of the best amongst the bak chang we have tried, the rice was soft but compact with a nice fragrance, with every rice grain fully absorbing the essence from the ingredients wrapped within the rice. The seasoning was flavoursome, however, the meat was a little tougher and lacked juiciness, though the ratio of ingredients to the rice was good. We were also quite disappointed with the chestnut, it tasted like off-the-shelf canned chestnut and not freshly cooked by the shop. The rice was seasoned with dark sauce, the texture was well cooked and compact similar to the Nyonya bak chang. Overall, we find both the Nyonya and Hokkien Bak Change to be delectable, with mouth-watering filling and tasty glutinous rice. 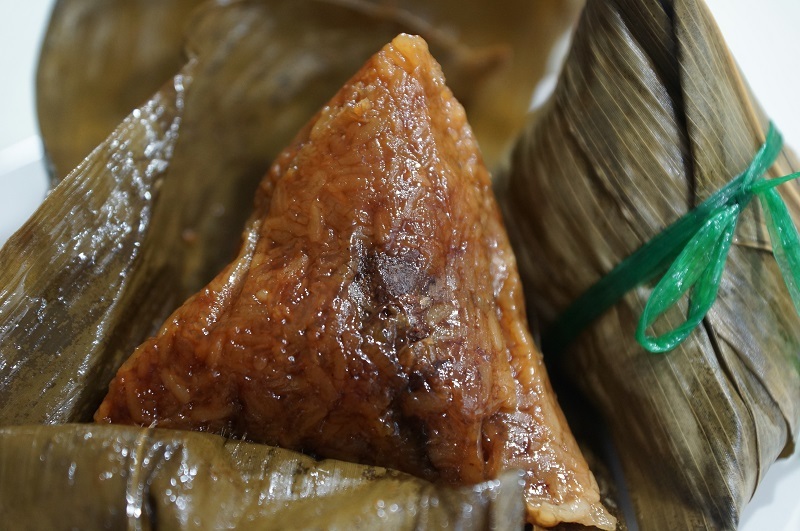 Though there were some imperfections with the Hokkien Bak Chang, we think that their renown as the best Bak Chang in Singapore is still well-deserved. By the way, don’t confuse Kim Choo Kueh Chang the other shop named ‘Joo Chiat Kim Choo Traditional Rice Dumpling’. 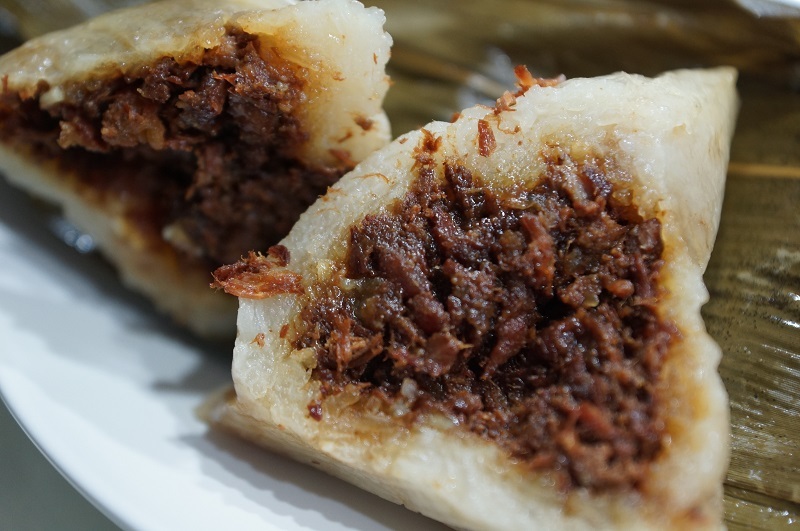 The standard between the two varies quite substantially, and we strongly recommend Kim Choo Kueh Chang.